Bring a pot of water to a boil, add salt and cook soba or pasta to al dente according to package directions. Drain and cool. Whisk up soy or Tamari, vinegar, chili-garlic sauce, lime juice, honey or agave, ginger, garlic and oil in a large serving bowl. 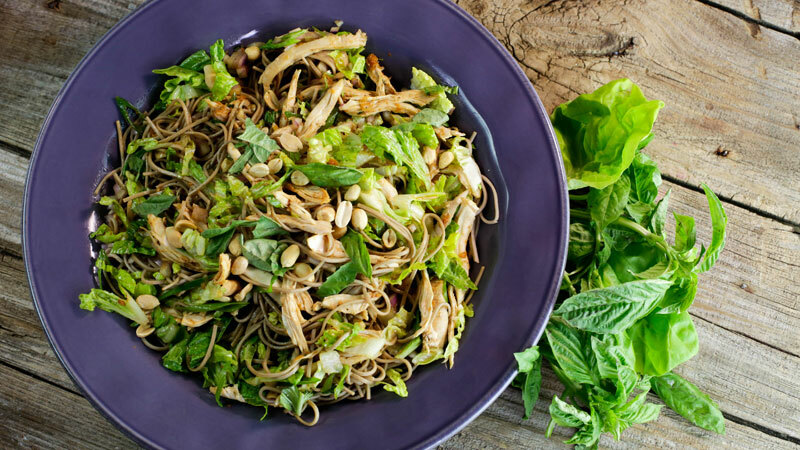 Add scallions, red onion, peanuts, basil, chicken, cold noodles and lettuce, and toss to combine. Adjust flavors/seasonings, adding salt and pepper to taste. In Recipes-list.com we have selected the most viewed recipes from category - uncategorized . Enjoy the best recipes specially selected for you! Rotisserie Chicken Cold Noodles is the right choice that will satisfy all your claims.